Pink Anvil is a duo of Paul Barker and Max Brody of Ministry. Barker is credited with FM radio and patchbay operation while Brody works a delay and some footswitches. Halloween Party was recorded live on… you guessed it… Halloween night, 2001 in Austin, Texas. Also, as you might have surmised, the music has an ominous thread strung though all the pieces. Pink Anvil’s formula appears to be to take some already existing horror / B movie theme and run it through some effects processors and add delay and noise. On top of these parts, there are lots of audio snippets from 50s-sounding random instructional movies that you’d have to watch in junior high school. It wouldn’t be Ministry-related if it didn’t have some shrill, in-your-face drum machine beats pounding away now and again. Check out “Near Death” and “Downer” for example. 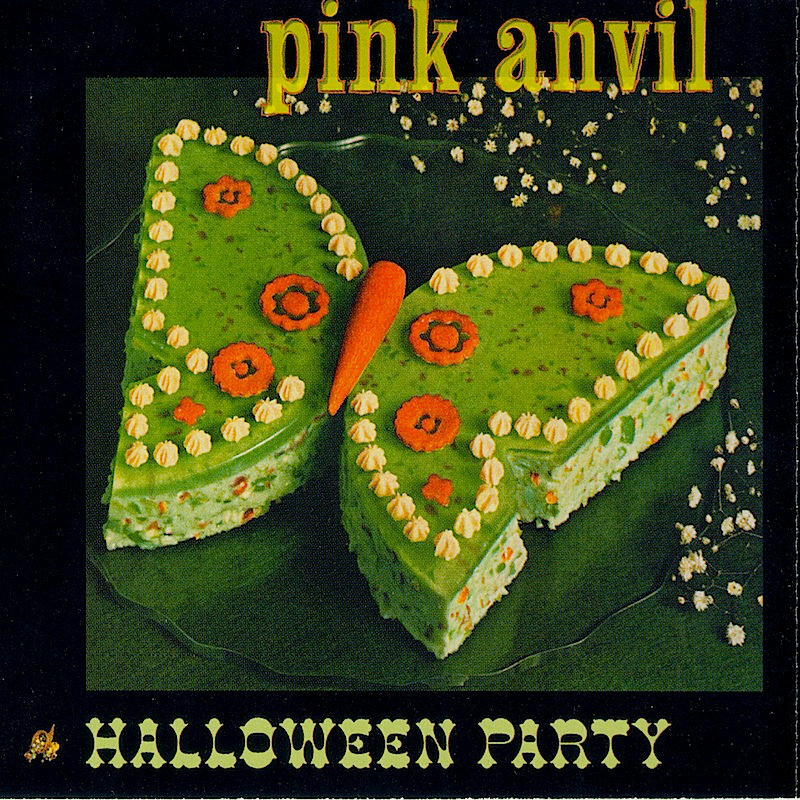 Pink Anvil has essentially made the entire album from a series of collages of other music, noise, distortion, radio chatter, and movie soundtrack chat. The “Lo-fi” plus-in gets a workout through the entirety of “Sugarwater.” Barker and Brody really seem to play the role of remixers on this release, taking a few main components and found sounds and making songs out of various combinations of these. I kept trying to figure out the connection between the horror film music and high school instructional video snippets, but didn’t have much luck. Fans of lo-fi and noise music might enjoy this.